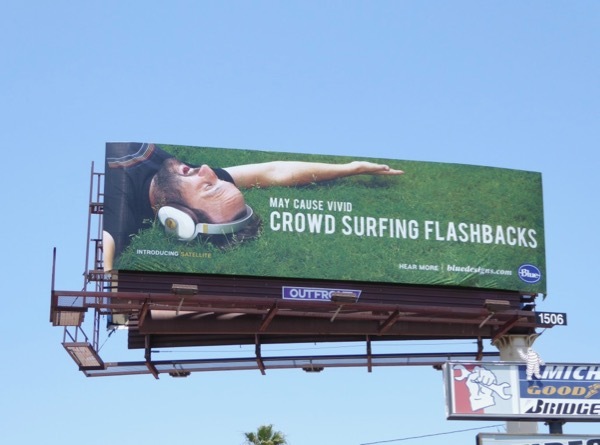 This summer Blue's new outdoor ad campaign for their premium wireless noise-cancelling Satellite headphones evoke nostalgia and a touch of humour to entice you to enhance your music listening experience. 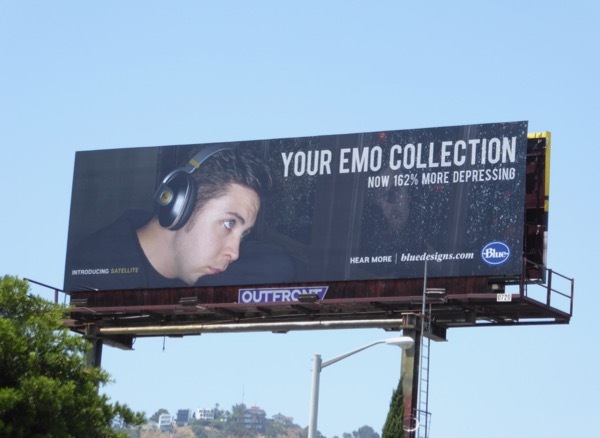 And from the looks of these all-male ad creative examples these $400 headphones are primarily made for men to enjoy in their man caves. 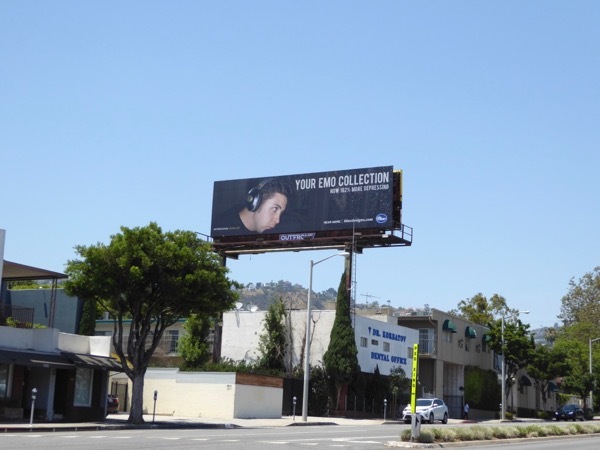 These fun Blue Satellite headphones billboards were snapped along Olympic Boulevard, Highland Avenue and Fairfax Avenue from July 4 to July 7, 2017. 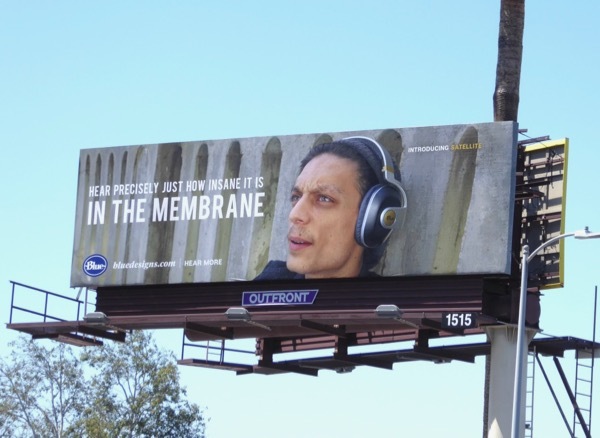 For a different approach to advertising headphones, be sure to also check out these colourful Beats by Dr. Dre headphones billboards. 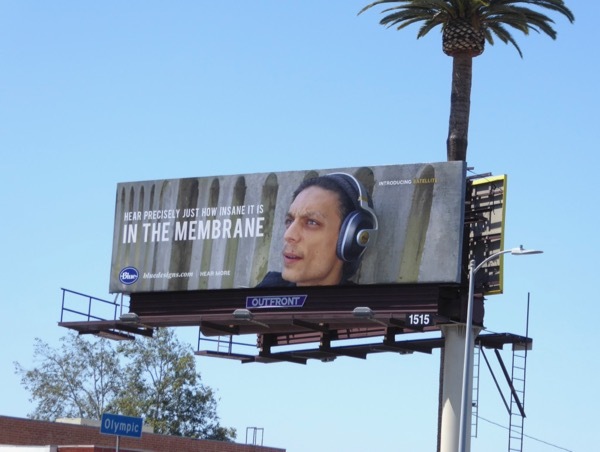 Plus for all you headphone-wearers, make sure you enjoy all these music and recording artists billboards entertaining the L.A. skyline in recent times. However you enjoy the sounds of summer have a rocking weekend.